Eir Aoi will release her new 12th single “Accentier” on March 2nd, 2016. The song will be used as the main theme for the upcoming Playstation Vita game “Digimon World: Next Order”. It will also be Eir Aoi’s first ever fight song. Details on the new single, as well as the promotional photo and CD jacket, have been released!! The music video features an appearance by Japanese professional basketball player Kei Igarashi (Current: Mitsubishi Diamond Dolphins NAGOYA). 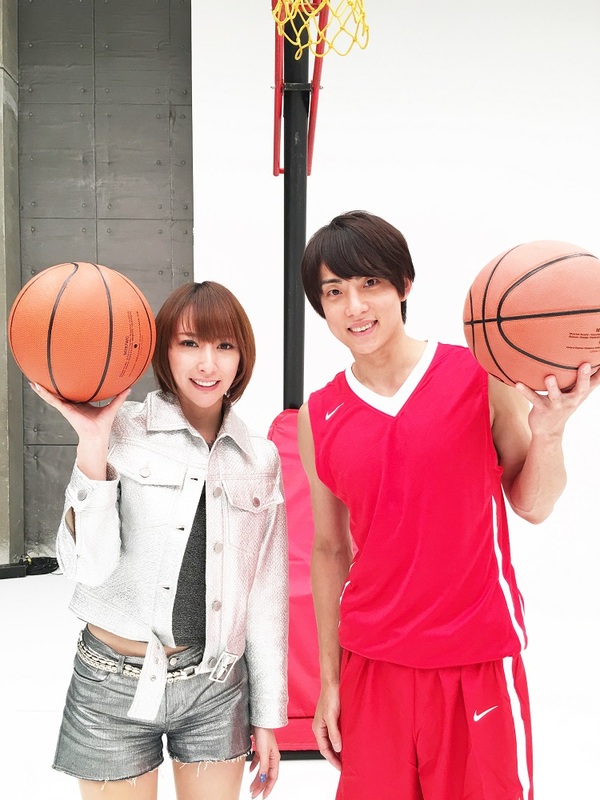 Eir Aoi herself has experience with playing basketball and has declared she is a big fan of the sport, and her passionate wish for this music video to be made has been realised. On the day of filming the music video, a nervous Eir Aoi met with Kei Igarashi. While exchanging their first greetings he told her, “Wear these basketball shoes so that you don’t injure yourself”. Anxious, she put on her new shoes given to her by Kei Igarashi. The atmosphere continued this way during the filming: calm and quiet. The term refers to the methods by which people colour their every day life. I was quite surprised during filming, because Eir Aoi’s usual strong voice this time was more gentle. I really like the fusion of music and basketball. Even though this was my first time appearing in a music video, it was really fresh to be able to play ball outside the court. ▼Click here for the “Accentier” MV. ▼Click here for the “Accentier” lyric video. ▼For information on Digimon World: Next Order, see the link below.